The Truth about Turmeric. Killer in Curry Sauce but is it Really Medicine? Anyone who has spent any time reading health articles online will quickly find thousands of articles touting the benefits of turmeric and its active ingredient curcumin. You will also find these same websites selling turmeric root or supplements for a pretty hefty price. However, as anyone over the age of 12 has discovered, not everything you read online is true. There is so much misinformation and outright lies floating around that we wanted to set the record straight so you can make an informed decision about whether or not you want to take turmeric or turmeric supplements. Turmeric is a plant, but most people simply know it as a spice that is commonly used in curry sauces. Although the leaves of the plant can also be consumed, it is the root that is prized. 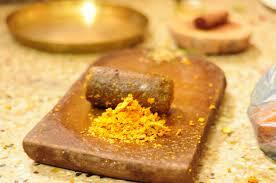 The roots of the turmeric plant, like ginger, are dried and then sliced or grated into a powder. Turmeric is also still used in some countries, such as India, as a yellow or orange dye, but it is more commonly used as a spice in mustards, cheese, butter, and, of course, curry powder. The root is used in some medicines as it does have anti-inflammatory compounds. First, let’s look at the things that you might have read previously about what turmeric can “cure” or help you with but are simply not true. The truth is that if you consume quite a bit of turmeric, such as several grams via supplements, you could actually make gallstones and gallbladder attacks worse. If you have ever had gallbladder problems, you know how painful these are! The last thing you should do is to take turmeric if you have a history of gallbladder problems. Speak with your doctor first if you want to consume turmeric supplements for other reasons. Although one early research study found that subjects who consumed turmeric daily over the 9-month study period, this was only a preliminary study which showed that turmeric might help pre-diabetics, not those who already suffer from diabetes. You can read the details about this study here. Subjects in this study did not have lower blood sugar levels, so it won’t help diabetics, but might help prevent some persons from developing Type 2 diabetes. Certain websites will tell you again and again that, even at high doses, turmeric has no side effects. Although the side effects are minimal compared to some drugs, it is wrong to insist that turmeric can be consumed at a person’s discretion without repercussion. As we mentioned earlier, turmeric can make gallbladder problems worse. Many who consume more than 1 gram a day experience dizziness, diarrhea, stomach upset, nausea, indigestion, allergic reaction, and, in one case, abnormal heart rhythms. Turmeric can prevent the absorption of iron and slow the clotting of blood. If you suffer from a stomach issue known as GERD, turmeric can make your problems worse. Always consult with your doctor before consuming turmeric, especially if you are taking any medications, or if you are under a doctor’s care for any ongoing health problem. Does Turmeric Actually Have Any Health Benefits? Yes, it does. Although this root has been used as medicine for thousands of years in countries like India, there have not been very many modern day studies done on this spice. However, the studies we do have show that turmeric does have benefits in some areas. Keep in mind that turmeric is a known anti-inflammatory agent. This means that it can decrease inflammation and help the body fight certain diseases or chronic conditions that have their basis in inflammation. 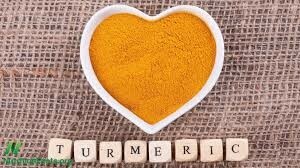 It is the active ingredient in turmeric, called curcumin, which offers humans some important health benefits. Curcumin has also been shown to protect against some liver problems such as alcohol intoxication (overdose) and chronic arsenic exposure. Curcumin was first discovered to have antibacterial activity as far back as 1949. Scientists have since found that curcumin has other healing compounds, but keep in mind that many of the diseases mentioned above are complex diseases involving what is called multiple signaling pathways. Curcumin addresses only one of these pathways, which means that while curcumin can be effective to some degree, it won’t be the end all/cure all that many hope for. The Big C is something that everyone fears and wants to avoid, but is turmeric a preventative measure or cure as some have suggested? Let’s take a look at what cancer is and how turmeric might work. Cancer involves a series of events and is a multistage process. Cancer occurs from the dis-regulation of more than 500 genes in the signaling pathways we spoke about earlier, at various stages or steps. While current single target cancer therapies have had some effect, (such as chemotherapy or radiation) they are fairly expensive and have powerful, unwanted side effects. Some studies have found that curcumin contains some anticancer activities, but these are not completely understood. Perhaps the most successful study was done in 1987 when 62 subjects who had skin cancer found that, when curcumin was applied topically, it reduced the pain, itching, smell, and even reducing the size of the cancerous lesions by as much as 90%. There have been other studies which have shown that curcumin can help with certain cancers, such as stomach and colon cancer, but only to a point. Curcumin is NOT a cure. While it can be a helpful addition, you should not rely strictly on curcumin or turmeric as a cancer treatment. Doesn’t Turmeric Stop Alzheimer’s Disease? This is another often stated health benefit of turmeric. One of the main problems with curcumin is that while it might be absorbed by the body, its bioavailability is quite low. This means that your body will absorb curcumin, but how much your body can use (bioavailability) is fairly low. Curcumin is a fat soluble compound, which means that what your body does get, it can store in your fat, which is a good thing. The problem is getting it in a bioavailable form. 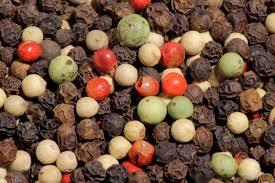 Studies have shown that consuming plain black pepper (called piperine) can increase the bioavailability of curcumin by at least 9 times over curcumin alone. Also, since curcumin is a fat soluble agent, you can take your supplements with a fatty meal or a glass of whole milk to improve the bioavailability of curcumin. Now that we know that in order for turmeric to work, you need to make it more bioavailable, let’s talk about the studies that have been done regarding this popular spice and Alzheimer’s disease. Besides being a terrific anti-inflammatory agent, turmeric has been shown to be one of the few agents that can pass through the blood/brain barrier. Once there, it not only reduces inflammation, but it breaks up the amyloid plaque in the brain that is thought to be the main cause of this disease. Amyloid plaques naturally occur in the body and brain. Scientists, as of this writing, don’t yet understand why these plaques build up in the brains of some people and not others. However, the good news is that turmeric appears to help remove these plaques. One study found that when subjects who were diagnosed with mild to moderate Alzheimer’s consumed less than 1 gram of curcumin supplements each day, they showed remarkable improvement during the 3-month study period. This was a very small study, but it offers remarkable hope for those struggling with this disease. 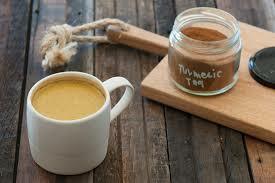 The Journal of Neuroscience also published a study which found that turmeric did indeed remove plaque from the brain. While scientists do not completely understand the mechanisms of Alzheimer’s and how turmeric might play a role, it is fairly clear that turmeric can help, and might even someday be a part of a treatment plan, for those suffering with this mind robbing disease. 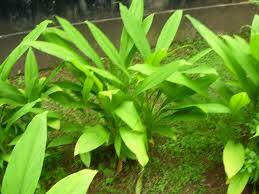 Turmeric comes to us from India, where it is used liberally in foods and drinks. It is no surprise, then, that India has one of the lowest rates of dementia anywhere on the planet. It might sound like a scam, but turmeric has been shown in some studies to help treat those with depression. One study splits a group of 60 subjects into 3 groups. Group #1 consumed Prozac. Group #2 consumed one gram of a curcumin supplement. Group #3 consumed both curcumin and Prozac. Over the 6-week study period, group #3 fared best, but group #2 who consumed only curcumin fared better than the group that consumed Prozac alone. This was a small study, but an important one. Another study that might explain how this works suggests that curcumin stimulates the body to produce more neurotransmitters that control our emotions, such as dopamine and serotonin. One of the problems is that a lack of studies makes knowing the proper dosage very difficult. You should never stop taking your anti-depressants without speaking to your doctor first. Going cold turkey can have serious health consequences. Ask your doctor about adding curcumin supplements to your diet, and how much you should take depending on your unique situation. When you consider that taking curcumin supplements can help prevent dementia, cancer, heart disease, prevent or cure ulcers, and stop inflammation, you have all the ingredients necessary to live a longer, healthier life. Inflammation and oxidation are known to play a role in the development of many different diseases. Since curcumin can stop both of these from happening, as well as provide the body with healthy antioxidants, it’s pretty clear why you see all those ads claiming that turmeric is a natural “anti-aging” supplement. While no one can literally stop the hands of time, it is not entirely unimaginable that, if you take curcumin supplements regularly, you might be able to slow it down. This is the most difficult part of the equation. We can see from the numerous studies mentioned here that curcumin supplements, or adding more turmeric to your food, has numerous health benefits, however, dosing remains a mystery. Some studies used as much as 8 grams each day, while others used only ½ a gram. Would the persons who consumed ½ a gram had “better” results if they had consumed 8 grams? Would those who consumed 8 grams received just as much benefit if they had only consumed ½ a gram or 1 gram? Most people consume, on average, 2 grams each day. However, this doesn’t mean that consuming more or less will make any difference. Since every person’s body is different and every person has different needs or problems, we urge you to speak to your doctor about what would be a safe dosage for you. If you should decide to consume turmeric or curcumin supplements, you should be prepared to be patient as most natural methods and foods take 8 to 12 weeks before any noticeable improvements can be felt or seen.